Comfortable, prestigious, and refined, Ladue homes are the perfect complement for those with a taste for the finer things in life. Although this suburban community is close to the urban heart of St. Louis, there are several large acreage lots that are not often found this close to the city, a premium that’s clear in the property values of each home. From luxury homes to upscale amenities, it’s no secret that this entire area caters to a higher caliber lifestyle. Ladue, MO real estate The colorful selection of Ladue homes for sale affords buyers a choice of large executive estates, updated historic homes, and modern infill properties. From elaborate gardens to top-of-the-line interiors, homes in Ladue typically epitomize luxury living, and because of this they usually fetch higher prices. Nowadays, the average price for a home in Ladue is in the high $700,000s, whereas just a few years ago it was nearly $100,000 less. Their value is likely to increase even further as more properties are redeveloped as upscale infills, targeted to luxury buyers. Ladue neighborhoods are characterized by lush landscaping, towering trees, and manicured gardens. There’s a truly eclectic feel to every neighborhood, because every home is different from one to the next. Ladue is served by two commercial corridors: Clayton Road and South Lindbergh Boulevard. Both offer several stores that cater to those who must have the the latest trend, from homegrown design to international couture. Alternatively, if you’re idea of relaxation includes a day hitting the links, you’ll be pleased to know that homes in Ladue are close to three exclusive country clubs, including St. Louis Country Club, Old Warson Country Club, and Westwood Country Club. Tennis-enthusiasts will love the state-of-the-art Racquet Club Ladue, which boasts four Har-Tru tennis courts, three indoor courts, tennis instruction, a swimming pool, and casual dining. Also near Ladue are several top-rated public and private schools that are known for their exceptional results. Want to learn more about Ladue homes for sale? Get in touch with the experts at The Wallner Team today! Send them a message or give them a call at 314.810.7653. 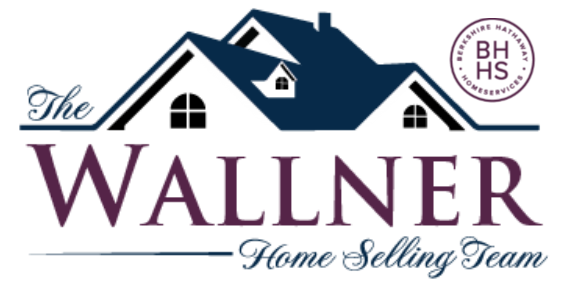 Whether you’re buying or selling, The Wallner Team can help you navigate the Ladue real estate market.